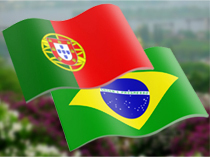 Portuguese language school in Kiev offers for you to choose one of two options of Portuguese — European or Brazilian. European (as it's also called, continental) option of the Portuguese language is used by people in Portugal, Brazilian one is in Brazil. Very often students of our school are faced with communication both the Portugueses and Brazilians. In this case, we recommend to join the existing groups, which suit to your knowledges level. 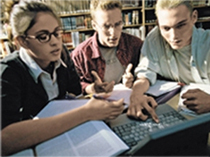 Our school is happy to help you overcome the communication barriers with native speakers. Lessons are held by native speakers and qualified Ukrainian teachers. That gives every student an opportunity to understand a culture, traditions and thinking of Portuguese language people. Classes are held in a convenient format: group classes and individual ones. Group and individual lessons can take place either with the teacher in the classroom or online using Skype. We'll help you to get desired result. If you plan to communicate with representatives of Latin America, namely Brazilians, you should choose the Brazilian Portuguese language. There are differences in pronunciation in Brazil, according to the region. There are two main variants of pronunciation - Sao Paulo and Rio de Janeiro. Classic Brazilian Portuguese pronunciation is Sao Paulo. Our school will teach you exactly pronunciation of Sao Paulo! 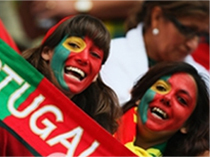 If you need to talk with representatives of Portugal and Angola, you should choose the European Portuguese.